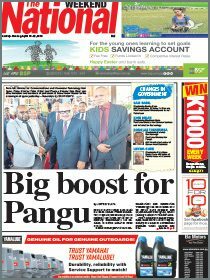 THE Enga Provincial Government-sponsored Enga Mioks will name a 25-men squad after the completion of the Coca Cola Ipatas Cup challenge, an official says. Acting chairman Philip Kepson told The National that there would not be any train-on squads for the Mioks as the final and complete team would be selected from the Ipatas Cup challenges. 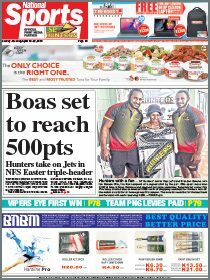 He said the final squad would comprise of the 2015 Mioks players and new players, who stood out in the Ipatas Cup semi-finals in Lae, Minj and the grand final in Wabag, Enga. “Since the Mioks is a national franchise, we will select random players who stand out in their various Ipatas Cup challenges — regardless of where they come from,” he said. He said his management team had as yet not named any players for the team. “We will wait until the completion of the Ipatas Cup, which is expected to be wrapped up in the third week of March,” Kepson said. He said the team management had appointed Ruben Ruing as coach, replacing Timothy Lepa, who was the chief executive officer of the Ipatas Cup. Kepson said team officials would be announced as soon as the team was finalised.